Hello! 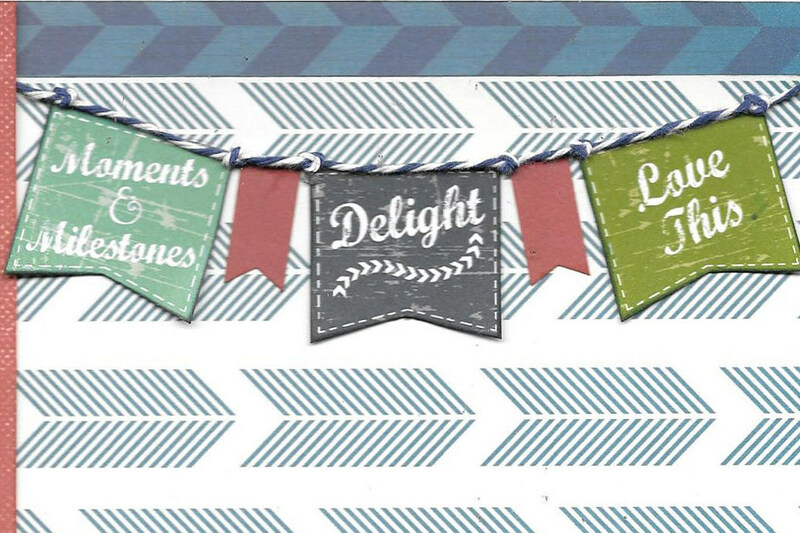 Louise here with another project featuring pieces from the amazing May Club Q Kits. 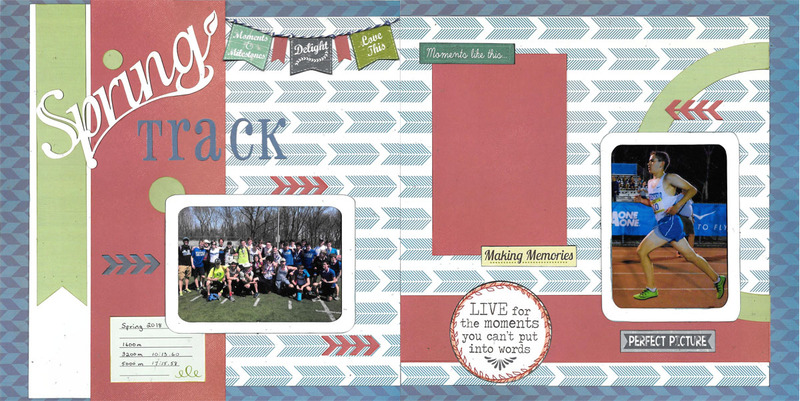 The layout kit contains everything you need to make two double page layouts. In my family, each season has its sport and in the Spring it's track. 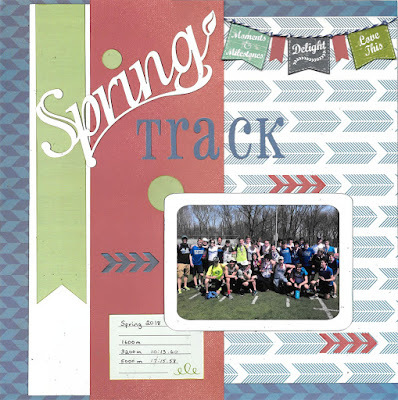 By combining papers from both page kits and using the prints on the reverse sides, I was able to quickly assemble this Spring Track page. I am making a single scrapbook for my son's high school years. I like to make a double page summary for each sports season with a few photos and his best times. He likes to chose some of the photos for these pages. The boys on his team typically take some fun posed shots at the last track meet of the season. I left some space on the right for those. All of the papers in this project are edged with PowderPuff Chalk ink in Navy, Cactus, or Lipstick. High school sports are as much about the friendship and the experience as they are about the sport itself. The quotes and phrases included with the kit express this perfectly. (The journaling spot and the phrases come from the Earth Wind Fire 500 paper which is included in the altered project kit). I also added some chevrons which I die-cut from extra pieces included with the kit. Here is a close-up of the banner. The large pennants came from the same phrases sheet. 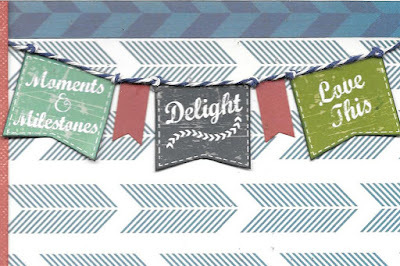 I like to tie knots in the twine along the top of my banners. I get the knots to line-up with the corners by working slowly and adhering the twine to the paper as I proceed. 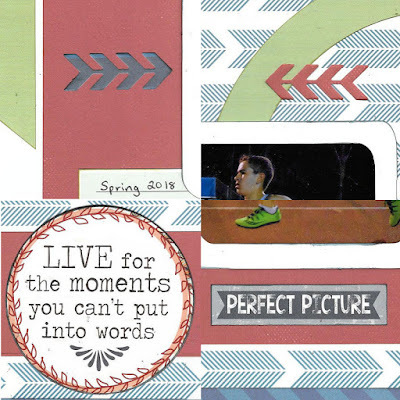 This design can easily be adapted to any Spring sport. I cut the large red ring in half to symbolize the rounded end of the track oval. If I was scrapping a sport with a ball, I probably would keep the ring whole and put it elsewhere on the page. There is plenty of product included in this kit, so after making this page, I have enough papers left to make another double page layout similar to the ones in the instructions and all of the altered projects. 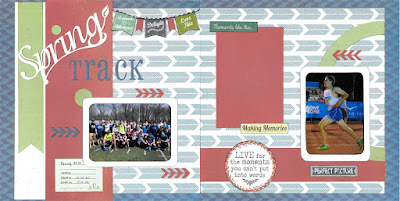 I have really enjoyed working with the May Club Q Kits. I hope I have shown you how wonderful and flexible these kits are.